Spend £ 190 more to qualify for payment by finance. The Akai Fire is designed to enhance the workflow of FL Studio. It is the first controller dedicated to one of the most popular DAWs in the world! 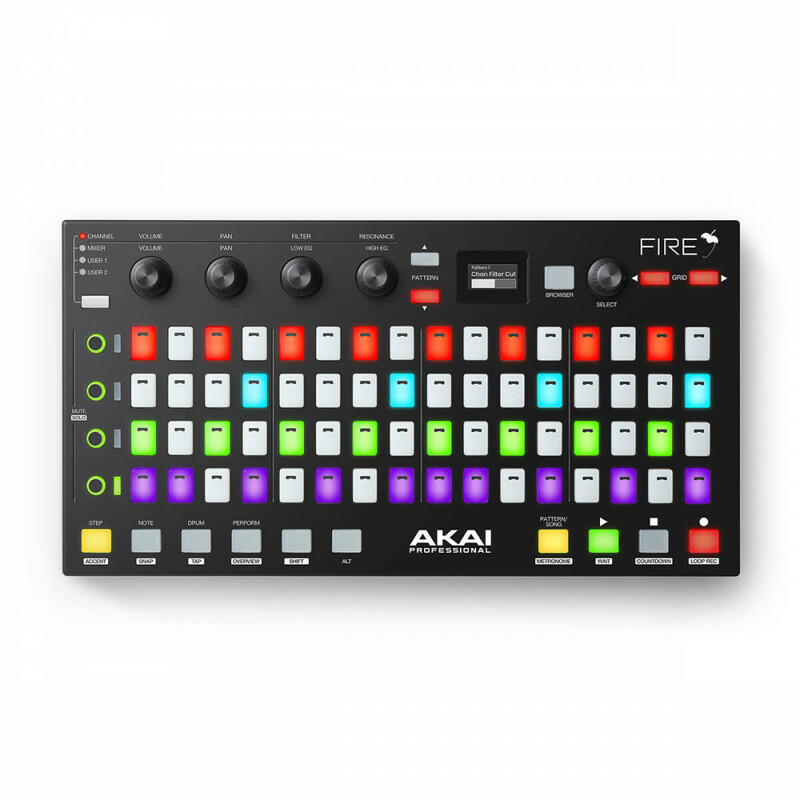 The Akai Fire is the first dedicated controller for FL Studio. Designed to enhance the workflow of one of the most popular DAWs in the world, the team at Akai have worked closely with a number of Fruity power users and Imageline at every stage of product development. 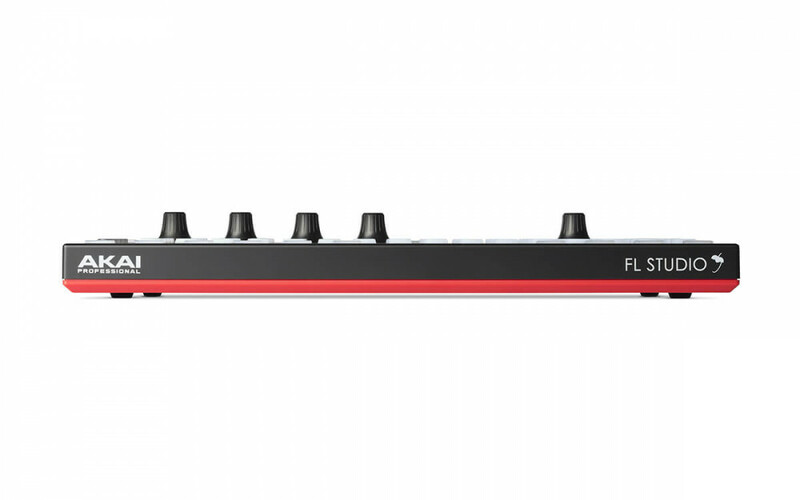 As a result of extensive research and development, the Fire offers seamless plug-and-play integration with FL Studio. The familiar on-screen step sequencer layout is replicated by the controller, so FL users will be right at home inputting patterns along the timeline. To ensure that the GUI is closely mirrored by the hardware, Akai have used a 4x16 matrix of velocity-sensitive pads. These RGB pads are colour coded to the GUI to bring the software into the hardware world. 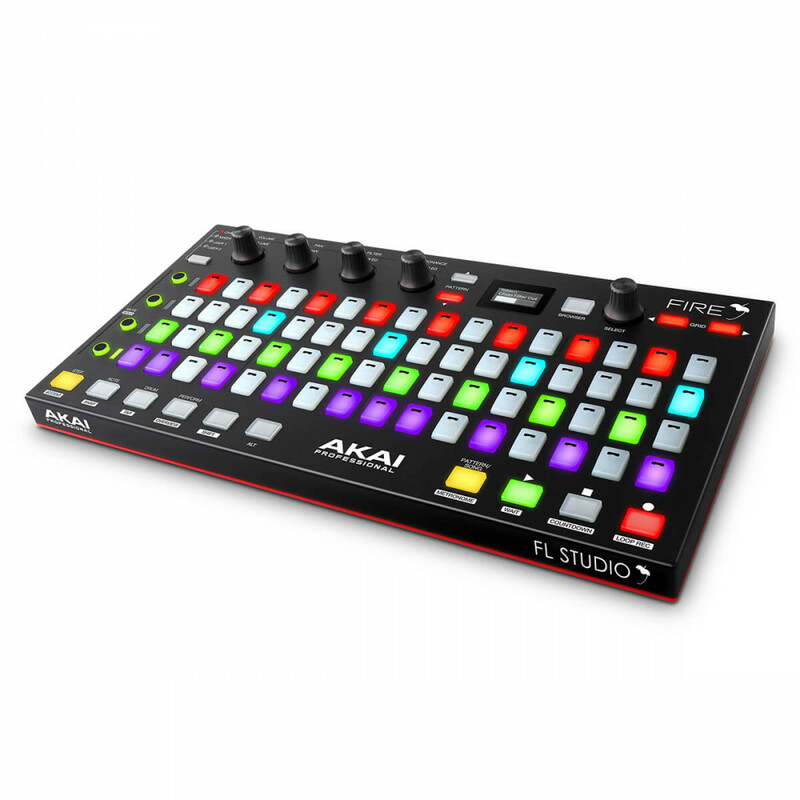 In addition to the matrix, the Akai Fire also features a graphical OLED display and a bank of four assignable touch capacitive knobs which perform different functions dependent on the current assignment. In channel mode you’ll have volume, pan filter and resonance – but switch to mixer or one of the two user modes and you’ll have a new level of control. The large data encoder will help you to quickly navigate the channel rack, browser, tool bar and playlist interfaces. When combined with the dedicated browse controls, you’ll find that the Fire makes locating the right sample you need a breeze – you’ll even find it easier to find your project files. To ensure that you stay focussed on your beats, Fire has dedicated transport controls. The included FL Studio Fruity Fire Edition is a complete software music production environment. With the first version of Fruity Loops released over 20 years ago, this special edition of FL Studio is the culmination of tens of thousands of man hours spent developing the software. With up to 500 tracks, VST and DX instrument support, deep automation, 18+ virtual instruments and over a dozen effects included – FL Studio Fruity Fire Edition is the perfect platform for beat creation. If you’re a FL Studio user who’s been shackled to your mouse it’s time to stop clicking and start playing! 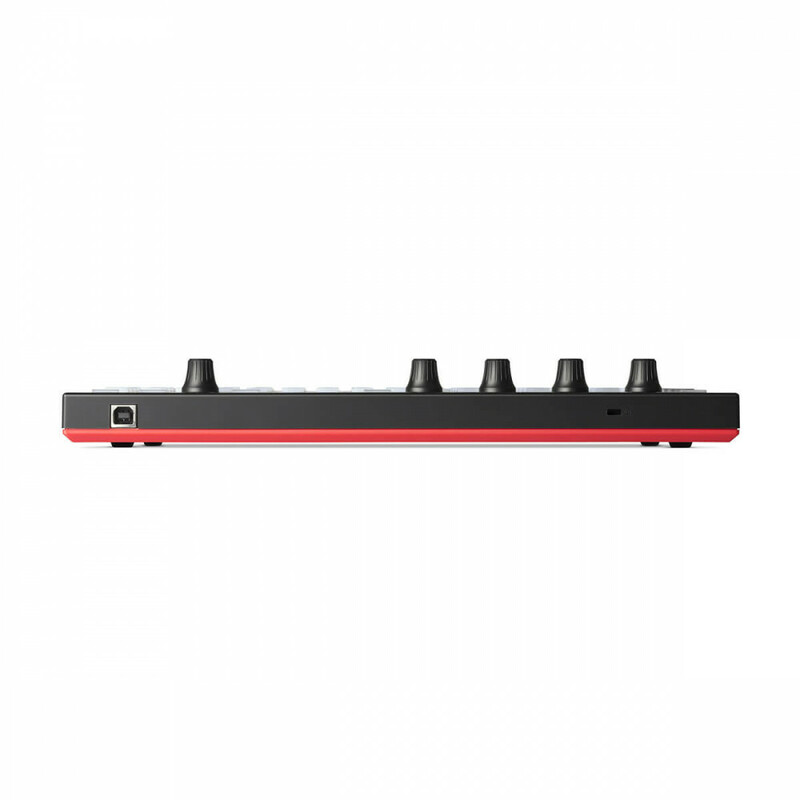 Seen the AKAI FIRE FL Studio Controller Cheaper?